Arlo’s next obsession seems to be dinosaurs, which started after we visited World of Dinosaurs in March, and he now watches endless episodes of anything dinosaur related, pretends be a dinosaur and has even started happily eating turkey dinosaurs for dinner! 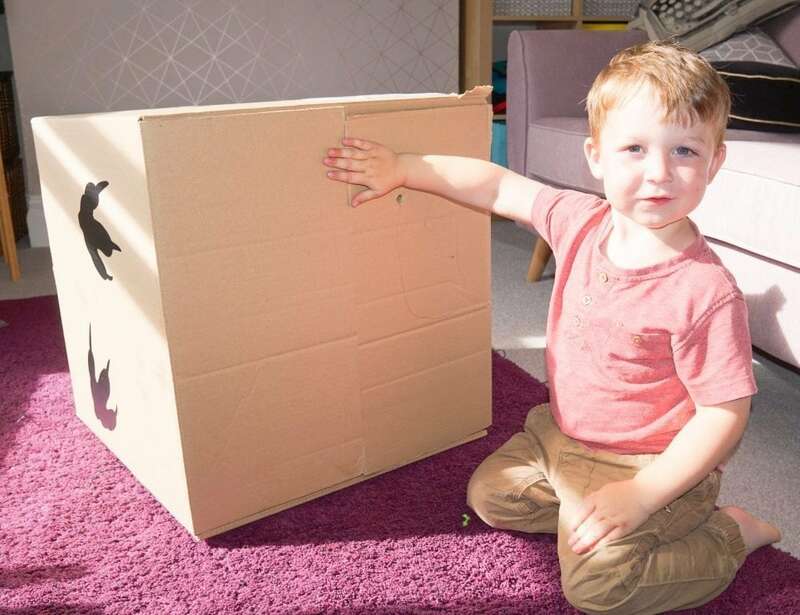 So imagine how excited he was when a gigantic box arrived with dinosaur footprints on it! 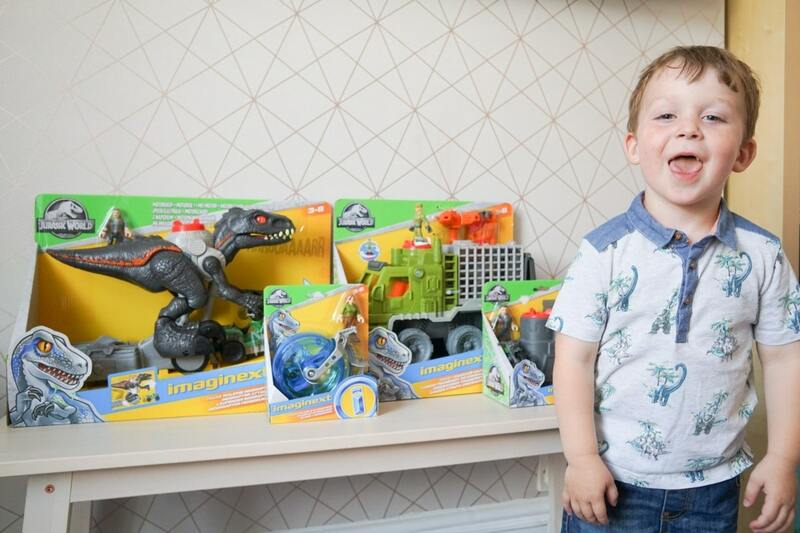 Inside was a whole host of new Imaginext Jurassic World toys for him to get his teeth into! 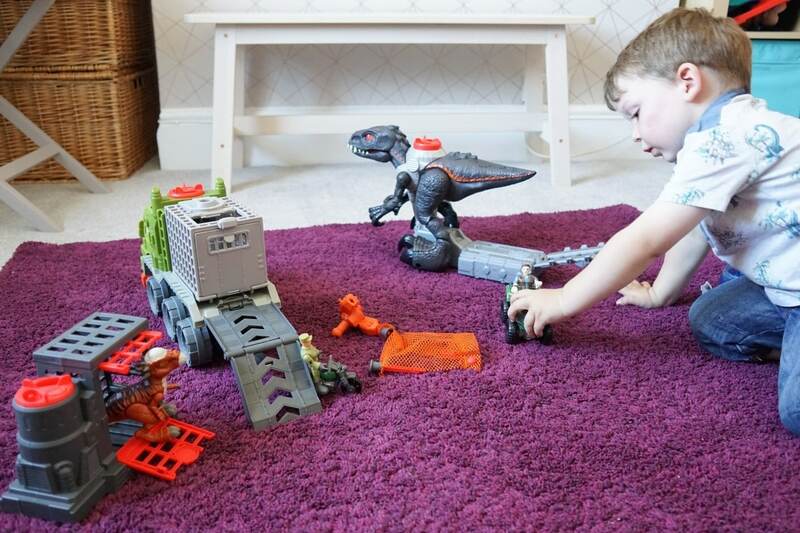 Imaginext is a cleverly designed toy range aimed at kids between 3 and 8, covering a range of themes and characters but the latest range is perfect for my dino-mad boy as it has lots of familiar characters from the Jurassic World films to get imaginative with! 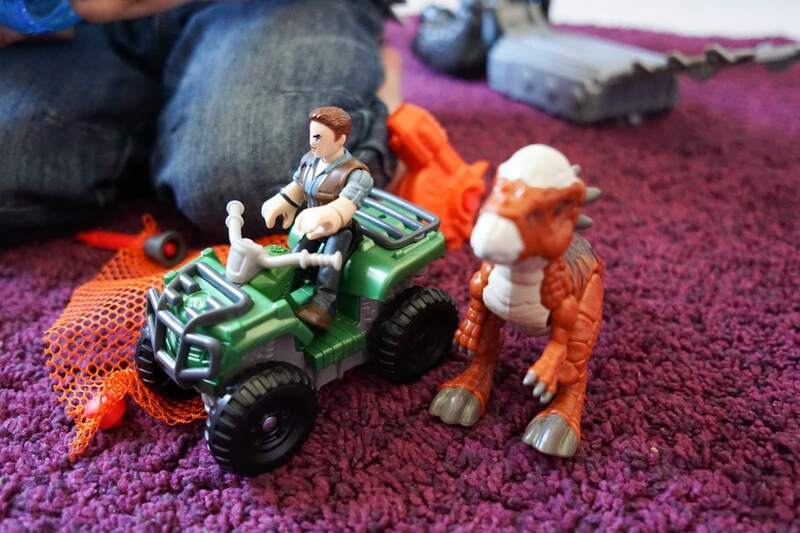 He zeroed in on the Walking Indoraptor first, probably because it was the largest, but also because it has a quad bike as part of the set… roll the quad bike in front of the Indoraptor and she will chase after it! It picks up an infrared beam to follow, and the faster the quad bike goes the faster the Indoraptors legs go and it zooms after it! 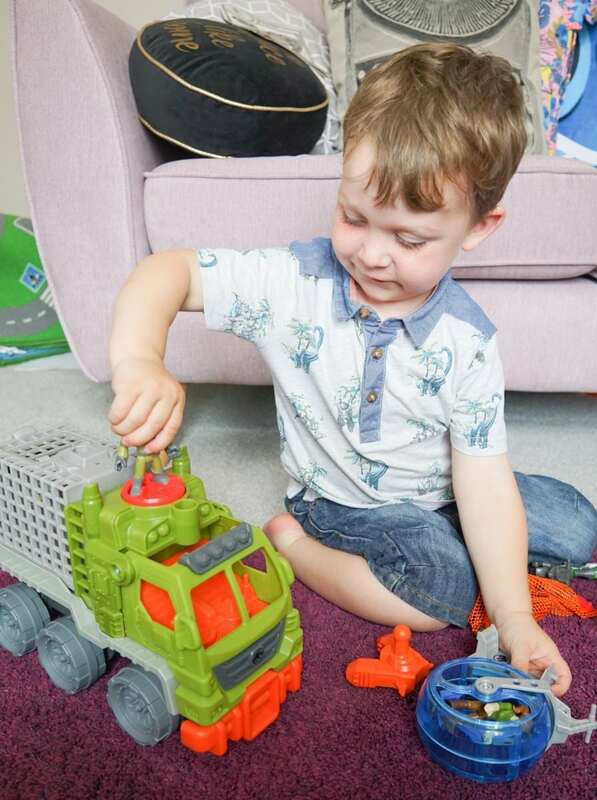 There is a space for Owen to stand on the red power pad to help direct, and the quad bike can be driven up and stored on the tracks beneath the dinosaur for storage and extra play options. 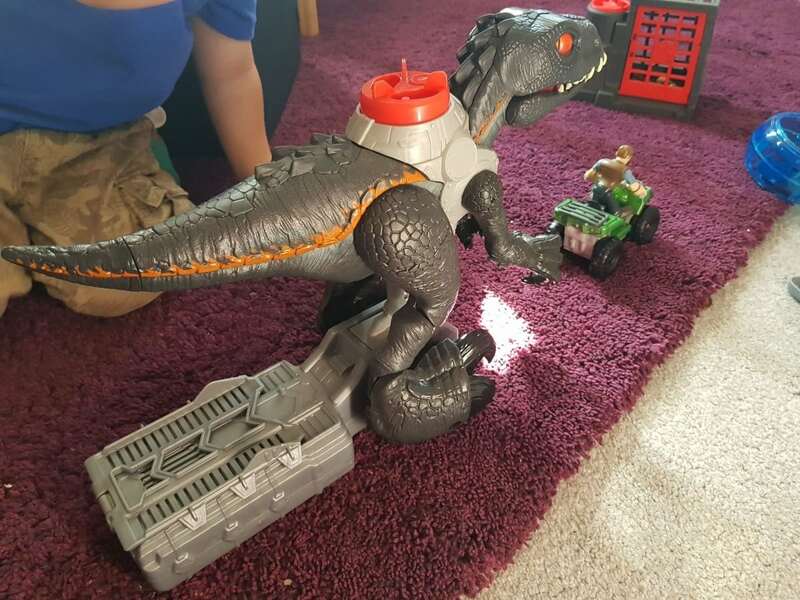 If you push the power pad the Indoraptor roars, or twist it to set it racing! It works better on non-carpeted floors but even on our fairly thick carpet she still trundles on at a good speed! Oh, and this one has two volume settings too, perfect for when you don’t want the roar of an Indoraptor to echo round the house almost as loud as your kid already is! 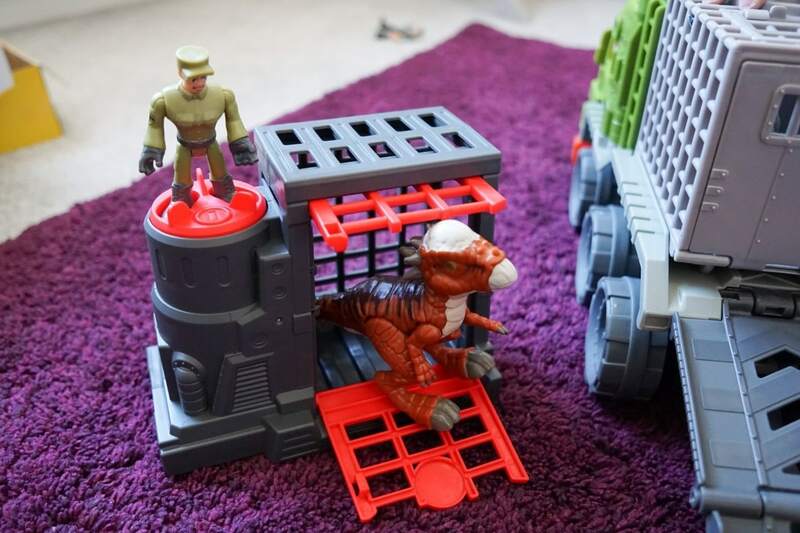 The Dinosaur Hauler has a cage for keeping any captured dinosaurs secure, and with a twist of the power pad you can lower the ramp to slide it off or on, or completely detach the cage for more play options. 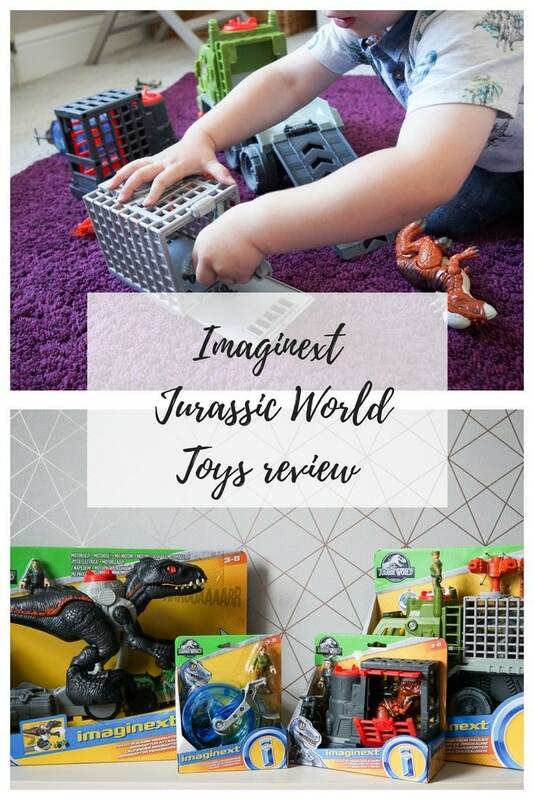 There is a net-launcher too which Arlo LOVES playing with, putting the dinosaur a little further away each time then launching the net out of the launcher to capture the dinosaur and haul her back into the cage. All the character figures that come with the range an interchangeable, so they can all operate the power pads (with their feet placed into the holes) as well as ride vehicles, including motorbikes, quad bikes and the Gyrosphere. This is another smaller set featuring Clare and her crazy looking vehicle, which looks a bit like a hamster wheel for humans according to Athena when she plays with Arlo and his dinosaurs (I should say when he lets her play actually, he’s become quite possessive and take a little dino to bed with him too!) There are three different assorted character & vehicle packs too. The Stygimoloch (which is a new breed to me!) 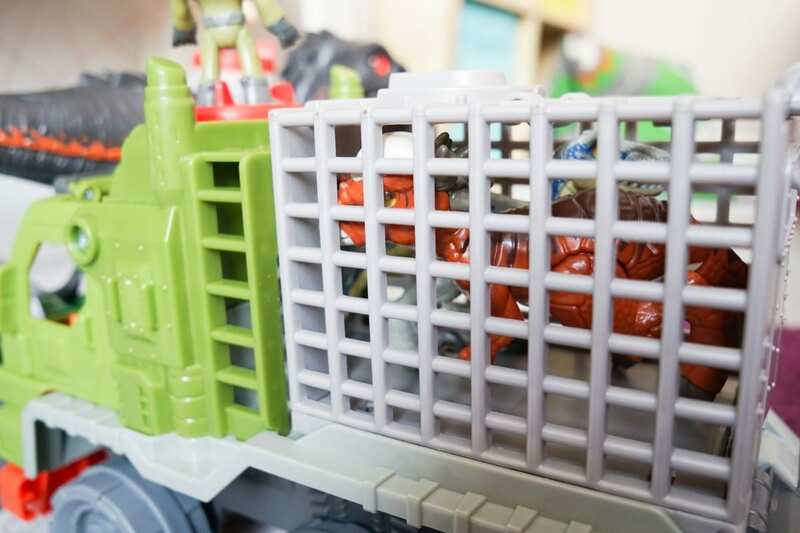 comes with a cage, again opened with a twist of the power pad but this time Owen has a motorbike to chase him down with! 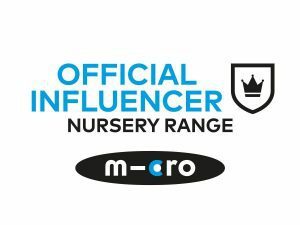 What I love about this range is the huge capacity for imaginative play. 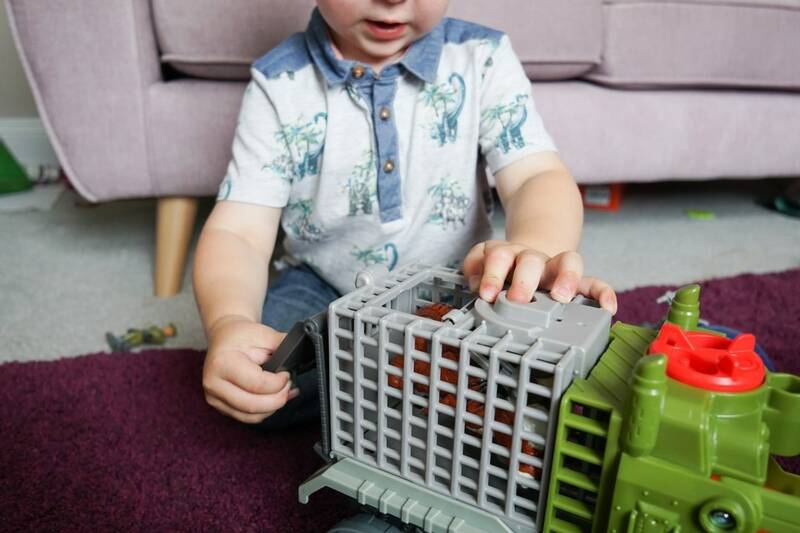 The games Arlo plays have had all sorts of story-lines and outcomes, sometimes the dinosaurs eat the humans, other times the humans end up in the cages and sometimes the dinos do – and quite often they all play nicely together under Arlo’s guidance! He puts on different roars for each of the dinosaurs, and lines them up neatly for their turn to be captured and put back in a cage! My personal favourite is the Indoraptor, and I must admit to having a quick play and making it chase the quad bike across the lounge before I put the toys away for the night! Prices start at £11.99 and you can see the full Imaginext Jurassic World range at Smyths. The toys are all really sturdy, and have so far withstood all manner of being bashed about by Arlo who has a strength far beyond his years I swear! With the aid of a pair of scissors for cutting cable ties which attached them to their packaging they were easy enough to open and play with swiftly, and batteries were already in place with the Indoraptor, none needed in the other sets. 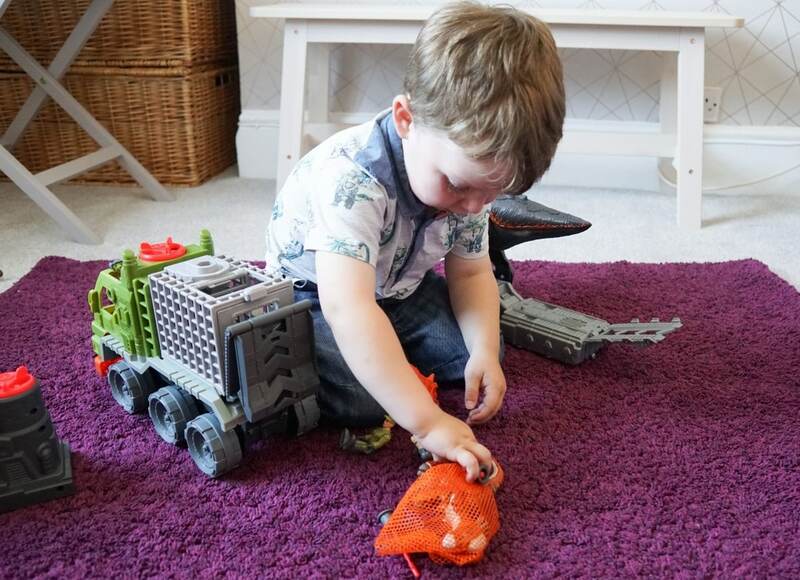 I can see Arlo getting a lot of fun out of these toys for years to come, as his love for dinosaurs develops and his capacity for imaginative play expands! We were sent items from the range for the purpose of this review.